Love going to catch a show in London ? Hate the cost of tickets/ travel & possibly a hotel? Birmingham of course has some great regional theatres - The REP, The Old Rep, The Hippodrome - but there is a way to experience top notch National Theatre (NT) London productions at a fraction of the cost, in the West Midlands. NT Live is a clever idea that broadcasts live theatre performances from the National Theatre, London, Southbank, directly to cinema screens in the UK . It's successfully shown productions include Danny Boyle's theatre production of Frankenstein that wowed critics in 2011, and Julie Walters recent return to the National Theatre for the first time in over a decade to star in The Last Of The Haussmans. So how does NT Live work? You go along to the cinema, buy your popcorn, sit in arguably comfier seats, experience a play from London's National Theatre current season live on the big screen, and then get home swiftly after. They even give you the interval, because it's a live broadcast. Gettit? Performances change with the National Theatre's 2013 season. 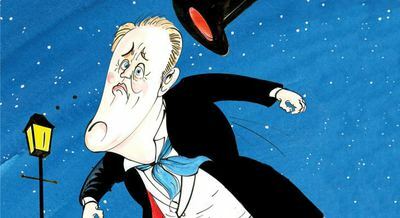 The next live broadcast is in January 2013; The Magistrate, a rarely revived Victorian farce by Arthur Wing Pinero, with John Lithgow in the title role, (I know what you are thinking, where do I know that actor from? Yes he played the alien commander in the late 90's American TV sitcom 3rd Rock from the Sun). Expect typical frenetic farce with a plot concerning a respectable Magistrate who finds himself caught up in a series of scandalous events threatening his position in Victorian London. Magistrate? Politician? Scandal? Some plots transcend time. The Magistrate is being broadcast on 17th January 2013 at the following venues in and surrounding Birmingham ; Cineworld Birmingham (Broad Street), Cineworld Solihull (Touchwood shopping centre), the Midlands Arts Centre, (Cannon Hill Park) and Warwicks Arts Centre (Warwick University campus). These are an opportunity for a great experience in the West Midlands, that might just prompt you to see something you wouldn't normally consider, and all from £13.50 ticket. Contact venues for tickets either in person. My top tip is to order Cineworld tickets online for 10% savings, see link here. Other broadcasts are not yet announced, see NT Live website for future performances. Watching an NT live broadcast of theatre gives you additional benefits too. The camera zooms in to give you one of the best seats in the house - you actually forget that you're not in the theatre auditorium in London - and broadcasts promise behind-the-scenes footage and interviews with artists. The Magistrate is pending a British Board of Cinema classification, for example, 12A or 15, so bear this in mind for suitability for children. Try something new, experience it live and close your eyes and pretend you've made a weekend of it in London.